If you love art reference books, you will love this. The creative people behind the 21 Draw reference book project have gathered 100 amazing artists from the big names in the entertainment and gaming industry to create the ultimate reference book for artists. 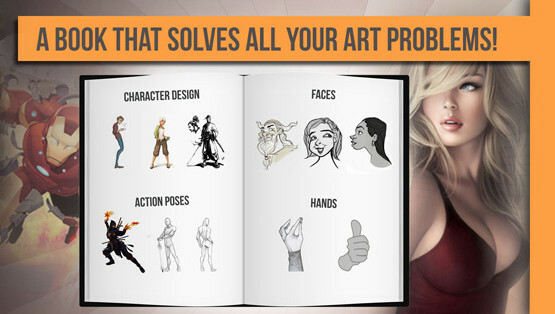 21 Draw covers character design, movement and facial expressions. Its 400 pages were filled with references drawn by top artists and professionals who have worked for Disney, Pxar, Marvel, DC Comics, Capcom, Dreamworks and other big names in the entertainment industry. They have artists Artgerm, Ariel Olivetti, Warren Louw, Paul Sullivan, Steve Rude, Corey Smith, Ed Benes, Kim Jung Gi and other industry giants. Each artist was asked to draw a unique character design in 4 different general poses: 2 reference poses, 3 action poses, 3 facial expressions and 2 hand gestures. The book covers all possible characters you could imagine: hero, heroine, warrior, troll, pirate, archer, viking, mermaid, croc, bounty hunter and so on. Plus you got to enjoy the diverse collection of signature drawing styles of the participating artists. 21 Draw is still up for funding via Indiegogo until May 31. Or head over their website for more information.